Gaze on in wonder as I split hairs. In writing, there’s formula and there’s formulaic. Formula can be good. Formulaic is always bad. With formulaic writing, you know exactly what you’re going to get. With a formula, you get exactly what you want. You know who else has a formula? 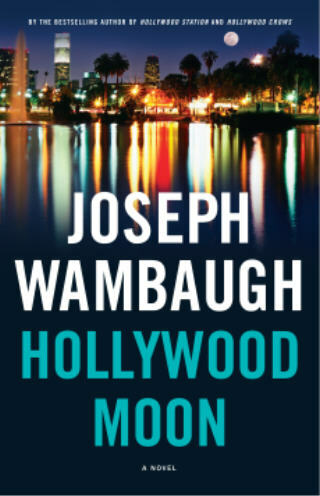 Joseph Wambaugh in his Hollywood books. Like every good recipe, it’s simple and satisfying. Take the regular roster of LAPD officers who work the mean streets of Hollywood – the neighborhood, not the state of mind. The surfer cops Flotsam and Jetsam. Nate Weiss, always ready with his SAG card. Toss in some newcomers to the patrol, like tough single mom/sergeant-to-be Dana Vaughn. Find the right balance of humor and heartbreak. Add in some criminals, life-size opportunists and screw-ups. The lineup in Hollywood Moon includes a failed actor-turned-master-of-disguise putting in long days on an identity theft scam; the mastermind he lives in fear of, also his wife; a pair of runners wising up to the operation; and a borderline psychotic teenager desperate for an escape. Slowly turn up the heat. Stand back and watch things explode. You have to season to taste. There’s too much of the surfers in this outing – a little of them goes a long way – but the heavies are the strongest yet. Wambaugh could write one of these books a month and I’d read it. 1Sometimes a successful formula can work against you. I had my first Mexican Coke recently. I didn’t know it when I bought it. I thought, “Cool! A glass bottle!” and only when I opened it did I notice the label was in Spanish. I didn’t like it. It tasted fine. It just didn’t take like Coke, which is what I wanted.